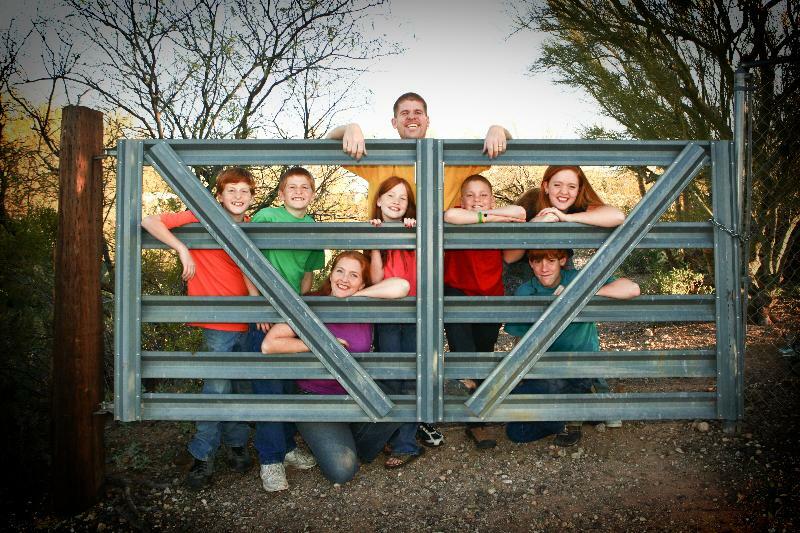 Welcome to the up-and-coming website for the Coult family and FLOWinternational Missions! Yes, the photo is a bit outdated, but it's a really cute photo, right??? If you're curious about that strange-looking couple over there on the right side-bar or that incredible sunset at the top of the page, click over to our current ministry/family blog for more pictures and stories about our village, our church family and visiting mission teams. You might also be interested in Mom's homeschool blog if you are wanting more information about our family or life as missionaries in Mexico. We are a family of eight -- six kids ranging in age from 17 to 23 (most of whom are grown and out exploring the wide world) and two parents over 40. Currently we work with over a dozen different Christian churches in our area helping as needed with children's ministry, music ministry, youth ministry, teaching, teacher/pastoral training, parenting classes, construction and anything else which needs doing. "What We Believe" is posted on the right side bar. We're still in the site-building phase (will it ever end? ), but there's some great information here. If you're curious about mission trips, cross-cultural missions, missionary life or life in Mexico, there's something here for you. We're glad that you stopped in and hope that you'll click around a bit...and don't forget to leave a comment!!! We're always eager to hear suggestions, and we look forward to hearing from you! Happy New Year from the Conley Family at Mindy Court, Chico, CA. May God bless you in His work this year. Hello, brethren! I randomly came across your blog while searching on the internet. I am married, 21, and have a 2 month old daughter. We live in CA. My husband and I believe we are being called to Boca Del Rio. Our pastors are the men who founded the church. This blog has provided much encouragement and comfort. Peace and grace to you and your family wherever you are currently residing! May our God bless you as you take part in His work of advancing the Kingdom for His glory! Thank you!